Does your council have LOBO Loans? Search for your local authority to find the latest borrowing figures and evidence of LOBOs. Quarterly information about Local Authority borrowing published by the Department of Communities and Local Government (DCLG) on the gov.uk website as “Borrowing and Investment live tables”. The result of more then 250 FOI request sent by Debt Resistance UK via Whatdotheyknow.com. 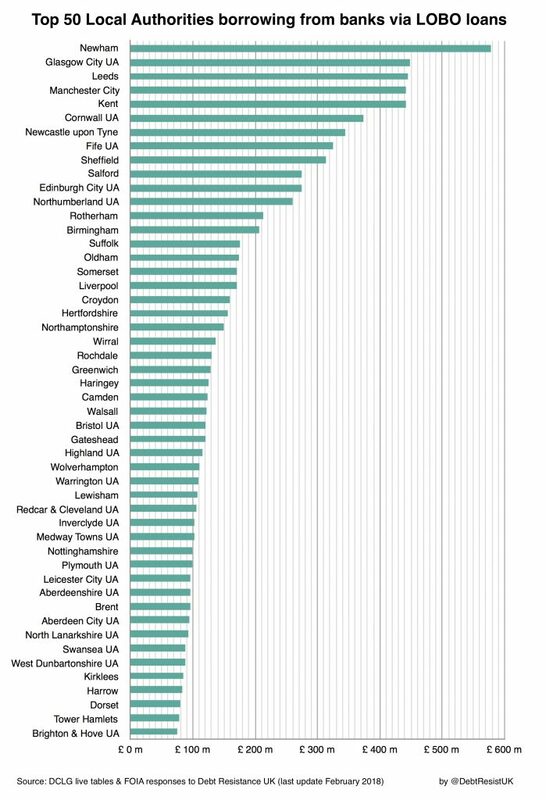 Below are the top 50 Local Authorities borrowing from banks via LOBO loans.